This roasted balsamic vegetable salad makes a terrific appetizer or side dish. 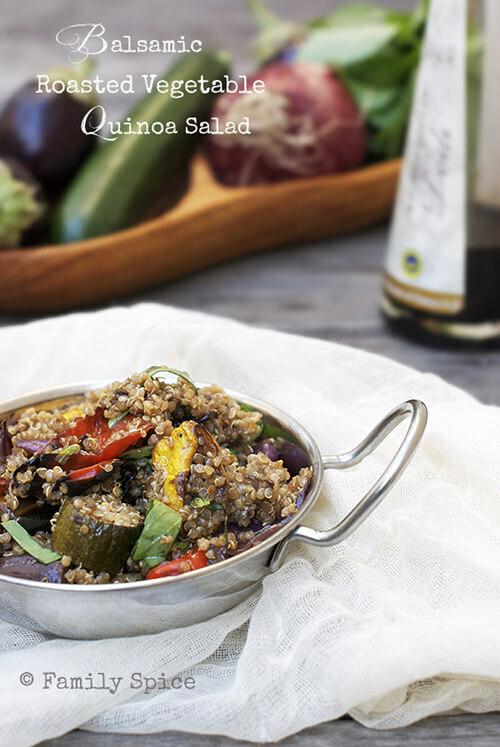 Mix in some quinoa and you have a filling and nutritious meal. Happy Spring! Last Thursday around 10am PST Spring arrived. It is also Norouz and the Persian New Year. The family and I were busy getting the house in order (hence the origins of “spring cleaning”) as we had a big family dinner to celebrate Thursday night. Needless to say, my workouts with Mamavation were a bit lax for two days as I was busy cooking and cleaning. But, I still enjoyed consuming my mushrooms all week long. As I mentioned last week, I am a Mushroom Ambassador and I’m participating in Mamavation’s 30-Day Mushroom Challenge. Last week I shared with you my Pork Tenderloin with Crimini Mushrooms and Port Sauce. For two weeks, I have been using mushrooms regularly in my meals for breakfast, lunch and dinner. Sometimes I substitute meat with mushrooms and other times I simply add mushrooms to the meal. 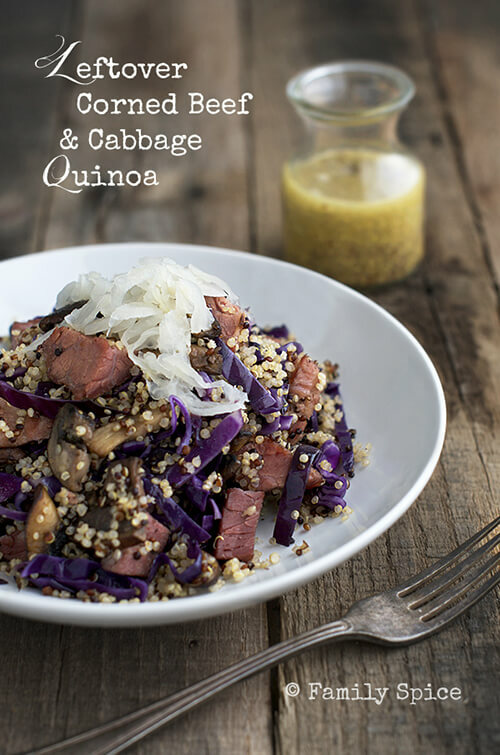 Earlier this week, I posted my Leftover Corned Beef and Cabbage Quinoa where I added mushrooms to lighten up the calories so I could use (and eat) less of the fatty corned beef. I have been eating mushrooms with my eggs, made a portobello pizza and now I have my Roasted Balsamic Vegetable Salad to share with you! This salad is one of my go-to recipes for when I have guests over. It makes a wonderful appetizer with a warm baguette and is a fabulous salad/side to fish, chicken or mixed in pasta. Throw in some fresh basil and kalamata olives and dive right in! 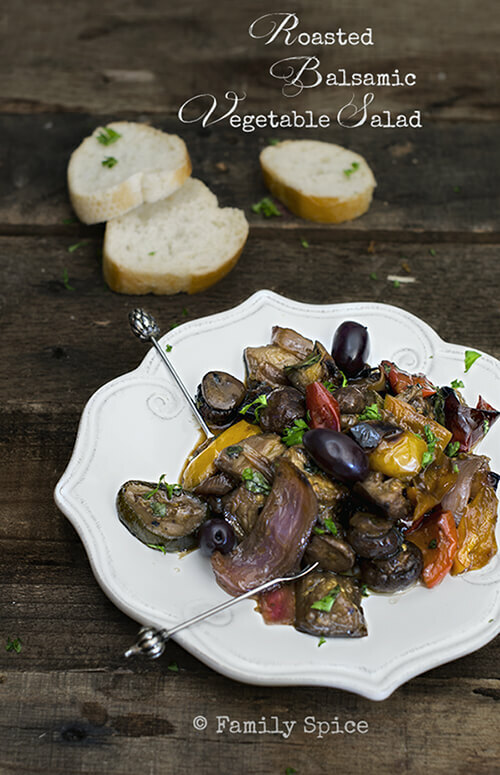 The key to even roasting is to make sure all of your vegetables are cut into the same size chunks whether it’s eggplant, zucchini, mushrooms, onions or bell peppers. You can even stir it in some quinoa to make a light meal. Also this week, my brother gave me a pedometer to help me achieve my 10,000 steps-a-day goal. This Pulse gizmo is uber cool, small and the companion app on my iPhone tracks my progress. I obviously knew beforehand that working on the computer all day is definitely not helping me with my figure or my 10K steps. So, I find myself taking breaks every hour and I do some clean up around the house. I still walk the walk regularly, although his enthusiasm to bark at everything slows me down. A daily 1.5 mile brisk walk guarantees me a 10K step day. I also have started to pace a lot more. Every little bit helps! I have also weaned myself off my protein bars in the morning. For over a year I have been enjoying the low-carb Atkins protein bars with my morning tea. I have found with my kids in two schools that mornings are ridiculously hectic and I have not been taking the time to make myself a decent breakfast. This challenge has really made me take the time to make a healthy breakfast and lunch JUST FOR ME. That’s a huge mind shift for me. Coat vegetables thoroughly and place on a large roasting pan in one layer. Roast for 15 minutes, then stir vegetables and continue roasting and stirring vegetables until browned, about 20-30 minutes. Remove vegetables, place in serving bowl and let cool, about 10 minutes. Serving Suggestions: Serve as a side dish or as an appetizer over slices of baguette. You can also stir in 1-2 cups of cooked quinoa, if you like. Disclosure: This post was created as part of the #MushroomMakeover 30 Day Weight Loss Challenge in which I received a stipend to be the blogger ambassador for the Mushroom Council. The opinions are my own and based on my own experience. If I didn’t like it, I wouldn’t blog about it. Oh that’s great! What app do you use? Better than a timer? It’s called “Time Out Free” Love it! Happy Spring and Nouroz! I’ve often thought about getting a pedometer, but I walk at least an hour a day, so I figure I’m getting my 10,0000 steps. Easy to sit in front of a computer, though, isn’t it? I’m way too guilty of that! John, I’d think you are definitely hitting your 10K steps. I found that a brisk 30-45 min walk a day was what I needed to get me to that goal. But, I have found that some days, I don’t have that extra time. But the pedometer certainly opened my eyes! I love all the ideas from everyone doing the mushroom challenge. I love mushrooms and I’m making a big list of things to make. Yes, the pedometer scared and depressed me, too! But, I have found that I am making sure I move more and I accept those days that I cannot make my 10K. 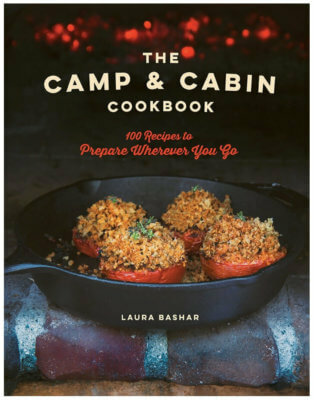 all of your mushroom recipes look and sound amazing! wow that roasted balsamic veggie salad looks amazing great job! I can’t wait to try this. It’s so easy, and I love roasted vegetables.